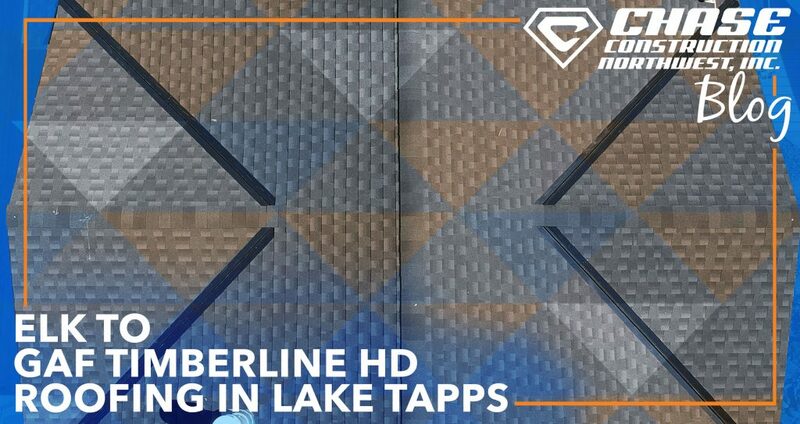 There’s no better bang for your buck in roofing than GAF’s Timberline HD shingle system. It’s one of our favorite asphalt composition architectural shingles because of its great combination of performance, longevity, beauty, and price tag. As Master Elite roofers with GAF, we can offer GAF’s Golden Pledge warranty. No warranty in the roofing industry compares because this provides a full 25 years of material, labor, and misapplication coverage. The material coverage extends to 50 years. We were delighted when one of the owner’s clients back before he and his wife founded Chase Construction North West, Inc. asked us to install his latest roof. We originally installed Elk for him and the system worked fantastically. After GAF and Elk merged, our client wanted his next re-roof to be with GAF because the quality is tried and true. We had a blast working on this new project! The new continuous ridge vent allowed us to remove those vents that pop up along the ridge, giving the new roof a slick, modern look. Combined with the crisp new materials, our clients have a high definition roof that will protect their home for many decades! Need a roof? Contact CHASE CONSTRUCTION NORTH WEST, INC. now for a free estimate! Our family-owned and operated business has been going strong since 2002, and we have great depth of experience installing top quality roofing systems. If you’re looking for a GAF Timberline HD system, or any other type of roofing (metal, membranes, etc. ), give us a call today at (253) 445-8950 or fill out our quick estimate form!